Complete player database containing every player currently playing first class or List-A limited overs cricket from around the world. (Over 3000 players). Comprehensive domestic and international fixtures for 2008 and all future scheduled fixtures. Accurate and up to date rules reflecting the latest regulations. More game play options with NEW coaching and player development attributes. NEW youth player options, develop and select youth players in your first team squad. NEW and improved match screen, including an all-new integrated ball-tracker and statistics window. Improved 3D game highlights with an extensive range of NEW diving and slip catch animations. Re-balanced game engine with accurate match simulation. Optimised game engine speeds up game play. Improved new player generation keeps the game realistic for over 100 years. Track your bowler’s performance with realistic ball dynamics accurately simulating bowling speeds, spin and swing. 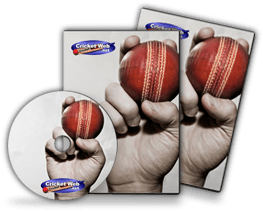 Full range of over 60 classic strokes and aggressive slogs covering classic shots such as; defence, sweeps, drives, cuts, hooks and more. Online play: challenge players from all over the world using your own team and score rating points in our online league. Two player: Play against a friend with your choice of teams in a test or one-day series. Includes tips and advice for novices and managers of all levels. Real-time updates as play progresses. Commentary from Test Match Special’s Jonathan (Aggers) Agnew. County & International Career: captain both the county team and international team of your choice from the start of the game. Exhibition Match: go straight into a one off match with two international teams in either Twenty20 or a One Day International (ODI) match. Match Series: create a Test or One Day series of your choice with any two international teams. World Cup Series: replay the 2007 World Cup tournament in the West Indies. Play against a friend or challenge 1000’s of teams online for ultimate cricketing glory.